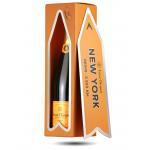 Veuve Clicquot elaborates this Veuve Clicquot La Grande Dame 2004 (£145.20), a sparkling wine from Champagne produced with pinot noir and chardonnay from the 2004 vintage and has an alcohol content of 12.5%. 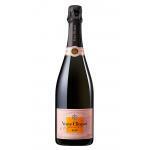 The Veuve Clicquot La Grande Dame 2004 is the ideal sparkling to combine with whitefish and citrus. 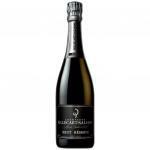 Uvinum users evaluate this sparkling wine with 4 out of 5 points while experts give the following rate: robert parker: 91 and wine spectator: 94. 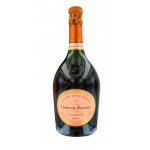 Veuve Clicquot La Grande Dame 2004 keeps the promises that only the great champagnes can fulfill. It is incredibly pure and fresh, with a fruity, refined and complex character that earns depth with every secons: first it is more discrete, then fruitier and finally its beautiful minerality comes out. 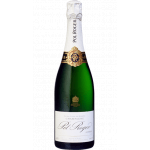 It is a wine that can be kept for several years and can be drank on great occasions, with new signature cuisine dishes or, if you prefere, simpler, like a halibut with almond sauce. Pure beauty turned into champagne. - View: pale golden coat with hints of jade color. 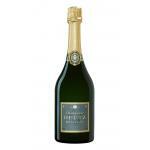 The wine is crystalline and bubbles of incredible finesse. - Mouth: aromas nose again. Elegant, fine. Fresh and generous finish. 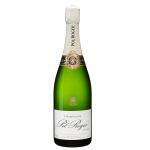 MATCHING WINE: creative cuisine, creamy rice, white fish with mild sauces, citrus desserts. - View: Grande Dame 2004 is of gold dress Pi ¢ the jade reflections. 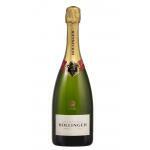 The wine is crystalline, a bubble of incredible finesse. Fragrance: sötsockrig, easy tutti frutti, small hints of caramel and marzipan. 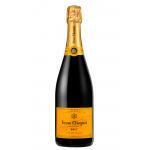 -View: Champagne Veuve Clicquot la Grande Dame 2004 is colored bright, glowing golden amber tones. Appears much effervescence. Madame Clicquot earned the nickname "La Grande Dame of Champagne" by his contemporaries for his conviction only produce champagne of the highest quality. - La Grande Dame has a pale gold colour with jade glints. 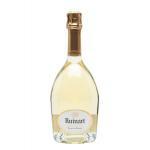 The wine is crystal clear, with unbelievably fine bubbles. I think the best pairing would be with meat. 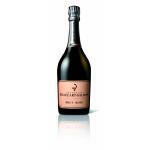 The La Grande Dama Clicquot Brut is a familiar wine of Veuve Clicquot. Very light flavour. Bakery smell at the end. We paired it with meat but I would not have drunk it with meat because it was not proper. - View: La Grande Dame 1998 has a beautiful colour and shiny. - Palate: Taste of Champagne. 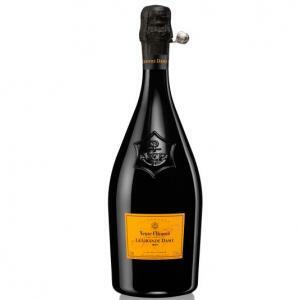 If you want to buy Veuve Clicquot La Grande Dame 2004, at Uvinum you will find the best prices for Champagne. On sale at Uvinum, fast, easy and 100% safe. 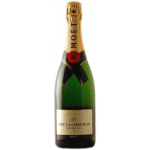 We bring you the largest catalog of more than 59.000 products becoming this way the biggest online shop to sell wine, beer, and spirits in Europe thanks to more than 38.000 customers who trust us.